Things often don’t turn out precisely the way we hope. Resolution and Solution take too long, and we give up. We have become a culture of immediate reward and little capacity for the long haul. We forget that there was an evolution to the problem; and will necessarily be an evolution to the solution. Healing and change don’t happen in microwave time. The problem: We are afraid to be different even when we know, without a doubt, that remaining the same is not working. We are afraid that we will fail~ especially when it comes to serving the stressed, traumatized population who you and I serve. They need so much. 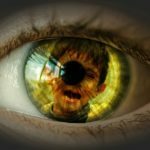 Whether in a crisis call center or working with first responders; or an organizational development plan attempting massive change at every level; or a school system working with educators, or child welfare with social workers, it is apparent that it is no longer enough to know, it is time to know how. This just may be an opening for my new book. I know that it will put some people off. I used to be afraid of that. I wrote with a hint of fear just below the surface and edited for approval, instead of authenticity. That was before. Whenever the status quo is threatened by an outsider, the insiders fight back. If you are doing things right, if you are upsetting the status quo, you will be criticized. You can always just do what everyone else does to fit in. Your choice. But at some point, you will come to realize that healing and change is an extremely personal, vulnerable, and intimate experience. If extremely personal, vulnerable and intimate is uncomfortable for you, how will you help another heal or change.? It IS personal. 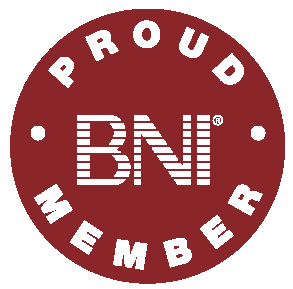 Our work is personal, and the personal is where we learn how. Change hurts. Do it anyway. It is personal, and it matters. In corporate America where I facilitate work for large organizations seeking change; and in small not for profit America where I facilitate work for small groups seeking change, the outcome is always the same. We know it isn’t working, yet somehow the risk of doing it anyway seems less than the risk of stepping into the unknown. This is the fear of change. When we fear change, but it is our turn to make a change, we pass; we wait for the other person to go first; we wait to be told what to do so as to negate any personal liability for the outcome. It is far more reliable to stay where we are than it is to leap, to jump to a new place different from the one we are in. 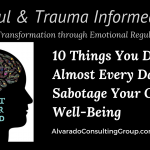 When traumatized children, or highly stressed staff, act out their internal dysregulation, we punish them, we blame them, we label them, and we send them off. We have learned libraries full of information in the past 20 years about brain science, stress, trauma, secondary trauma, and body/mind restoration; we know so much, but we still don’t know how. In the darkest moments, when we could matter most to another, somehow, we forget what we know, and we certainly don’t know how. And so, when it’s our turn when the other is hurting and desperate; when the tension is high when we are racing inside, we return to what we know, we fight, flight or freeze; we lose our capacity to remain connected to the other. In our own state of dysregulation, we are incapable of offering attention, affection, and attunement to another. We care about nothing other than our own state of being. When change is most needed, it is the hardest to do. How? Practice Emotional Regulatory Healing as I have taught you. At the intersection of the most recent research in neuroscience and the most ancient wisdom in healing from the sages, comes the how. And actually, it is quite simple once you stop fighting. But you want it to be harder, you want a complex answer to complex stress and trauma. You want to have power and authority. You want to believe that you know what is best for your child, or your staff, or your partner. You continue trying to convince them to do it as you say. How is that working for you? You want to do it your way. And, in your most authentic state, YOU CAN do it your way! I know how hard all of that is to hear. I know, because it was, and at times, still is for me too! We are human and this is part of the human experience. We are living in survival; we are stressed. But there is another experience available to you and me; it is the spiritual experience. It is the sacred leadership and love -based parenting experience in which ERH is deeply grounded. It is the experience far beyond the human condition. It is the very vulnerable, personal and intimate experience. It is love. It is healing. It is unconditional. And, it can feel scary when we are not accustomed to it. Especially in the world of organizational development and leadership. Who talks about love? Love based leadership: Love based parenting? What? How? If your way is working for you, if your way makes you feel really good about yourself, if it flows with your moral compass and if you do it and sleep well at night regardless of the outcome; if your way brings the results you are looking for, stop reading here and keep doing it your way. Congratulations! If it’s not; please, read on. 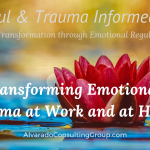 Emotional Regulatory Healing, ERH, and Emotional Intelligence, EQ, combined, create a path out of every single stressful and traumatizing situation you could ever find yourself in. But, it requires a change from what most of us tend to do. If you are still reading, it must be your turn. Show up, Matter when it matters most. Drop; drop into your breathing as you elongate the exhale as I have taught you. Stay in your deep breathing exhaling longer than you inhale, until your emotional regulatory system calms and your emotional intelligence (executive functioning included) return. You can stay in the presence of the other, but stop yourself from adding fuel to the fire. Their brain is on fire; if you can’t put yours out, you certainly cannot help them put theirs out. Roll back into the relationship from a place of love. If you have stopped and dropped long enough, you no longer need to be the one talking; you no longer need to be the one who is right; you no longer need to be in control; you no longer need to know what is best for the other. You have entered into the spiritual experience of compassion and empathy. Your goal now is mutual benefit, not being right. You want to listen; to truly understand what the other feels; you want to offer safety and acceptance to the other no matter what they did; you want them to know that your concern is for them first, and their actions second; you will be in a place to re-engage in gentle relationship first; rules or consequence last. You want to become for them only what you long for yourself; To be deeply heard, safely held and fiercely protected when you are fighting for yourself. We all long for that. The compassionate, empathic and servant leader or parent faces change and the fear of failure from a state of not knowing but willing to take a turn, to make a change anyway. It is from this state that excellence emanates; that we lead others to higher states of achievement and wellbeing; and from which we are the best version of ourselves in the world today. The world sure could use the best version each of us has to offer today. 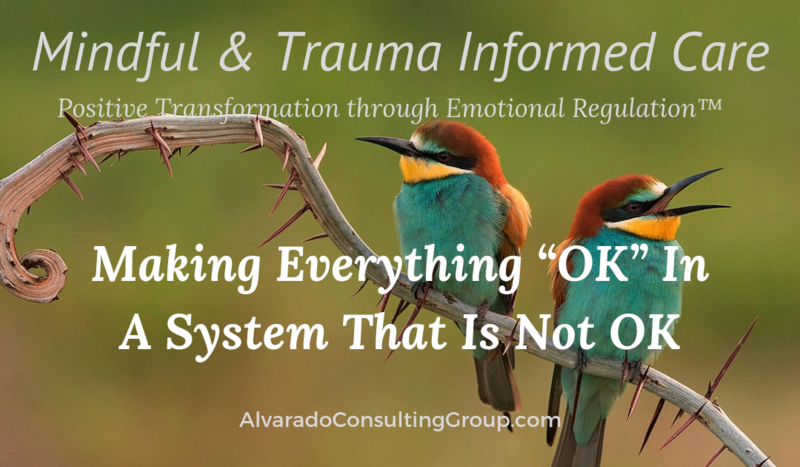 Not everything has to be ok. And in our system, not everything IS ok. But in our system, the energy is moving. Moving forward with generosity. Moving forward with a willingness to live with the tension of not knowing, yet. Moving forward so we do not stagnate. Moving forward and open to learning as we go. Effective leaders and parents take their turn to make more than money, more than rules; they take their turn to make a difference; to matter, to contribute and live and love fully. 4 additional steps we can take as we work toward OK when we are not OK. 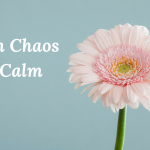 If we stay diligent with daily, mindful and trauma-sensitive practice of elongating the exhale, living slow and low, and returning to stop, drop and roll in the moments of chaos, we will still, inevitably have days when we just do not feel like being there. But if we show up anyway, in loving dedication to the process, we learn to move beyond our ego and expand our awareness beyond our fleeting personal needs and desires of the moment. This surrender of individual self is required in order to experience our deeper sense of purpose and in order to ‘feel’ another. This is, in fact, the essence of mindful and trauma-informed care. This requires a human willing to explore letting go in the face of the desire for control. When we have been directed to intervene with staff, customers, clients, and peers in one manner, yet everything in us tells us to relate in a different way, we need to listen. In the deepest part of each of us we know, we just know, that without relationship nothing else matters. We know that wounded children and stressed out adults need a calm, gentle, safe space in which to regain composure. When their anger becomes our anger there is nowhere left to turn. The window of opportunity in which we can teach others how to manage their emotions is precisely when ours may begin to feel out of control. 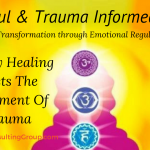 Emotional Regulatory Healing, (ERH) my mindful and trauma-informed paradigm for healing, is about us first. 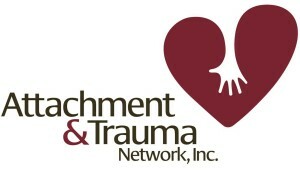 Recognizing that we, too, have experienced this trauma; respecting that our children, our clients, and our staff simply cannot move to a place of transformation that we have not been willing to consider for ourselves first. As in a committed relationship, when we choose to stay with a new practice beyond the frustrations that inevitably arise, we develop endurance. When results are slow in coming, we must have faith in the process. Persistent effort over time will bring the change we are in need of and will bring us more peace. We are being offered a greater understanding and a more expansive view of the reality of the human condition. Commitment creates a container of safety and acceptance in which we can blossom into our best selves allowing others to do the same. And, if we as the professionals cannot do this, we cannot expect our staff, clients or children to do it either. “Our” kids have found ways to fail and be failed by every adult in their life. They invite adults to abandon them at every opportunity. 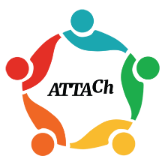 The most important expression of an organization’s belief about relationship and engagement in healing will be found at every level of staff who become unwilling to disengage when the going gets tough. The hardest time to stay is when we most need to stay. It must become our intention and number one priority to remain engaged with the child and their parents even in their most provocative state and through their most disturbing ideas about us. When we find the techniques and tradition that work best for us it will become necessary to maintain consistency of practice and devotion to the science that serves it. This will provide the clearest, most nourishing water to our soul of healing, for us and for our clients. Dabbling in techniques that we know will not work can never offer the same restoration. One of the reasons that I write is to work out ideas, my ideas, and to share them. The courage, the vulnerability, the intimacy and willingness to face change really is another way of talking about love. Talking about love in my field takes courage. Stepping into that courage in the face of my fear feels AWESOME! This is a labor of love. At times doing it more for others than yourself. Or maybe that is doing it for yourself. To love in the deepest sense of love as I understand it, (not the love of chocolate, or some other need to be filled), is to be generous even at great expense, to stick with something that may not work right away, to survive the fear of rejection and embrace this thing we are working to change. To give up the safety of the known and dive into the unknown, to offer a part of ourselves to another in need, to give because giving is right and not to gain something in return; to bring love to our work lives, our communities and our world, to make a difference, to really matter; that is love. So yes, let’s talk about love. It’s noisy out there and in here. In the quiet moments, you will find the answer. You have the chance to change things. You can matter. The pain may be real. But so is the path to changing it.